Summer is a glorious time to visit Dartmoor. The open moorland is looking at it's best, the air is warm and fresh, the crystal clear waters of Dartmoor streams are there to cool walk-weary toes, and the sunsets from high tors are simply breathtaking. 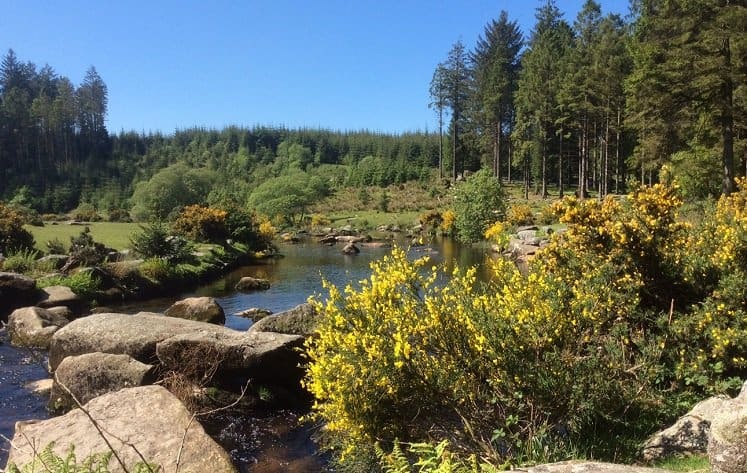 You'll not be short of things to do on Dartmoor when you book a Summer Break at the Two Bridges Hotel, but here are a few of our favourite Dartmoor days out for the Summer months. Castle Drogo, the last castle ever built in England, is nearing the end of a 6-year conservation project – but even with the builders in it’s well worth a visit. Since it was constructed some 100 years ago, the castle has always suffered from water getting in, but this major exercise by guardians the National Trust will now make it watertight for, hopefully, many decades to come. 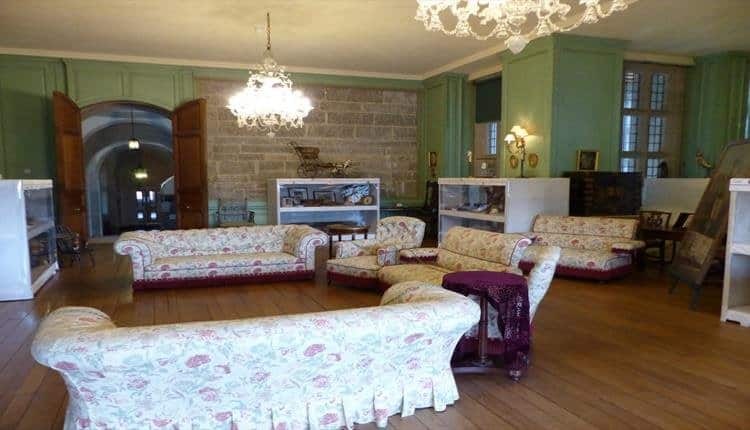 Most of the castle’s beautiful rooms are open to view while works continue on the roof, and the formal gardens and Teign Valley footpaths are a delight to explore. For a unique and fascinating bird’s-eye insight into the building work currently on the go, pop on a hard hat and climb the viewing tower. On a hot Summer’s day, when you feel the need to cool off, take a trip to Becky Falls, where crystal clear Dartmoor water flows through a stunning boulder-strewn valley, under lush-green leafy woods. Set in a landscape carved out in the last ice age, over 12,000 years ago, the waterfall itself is 70ft high and 35ft wide in parts, and makes for an impressive sight as the brook cascades its way down the Bovey valley. 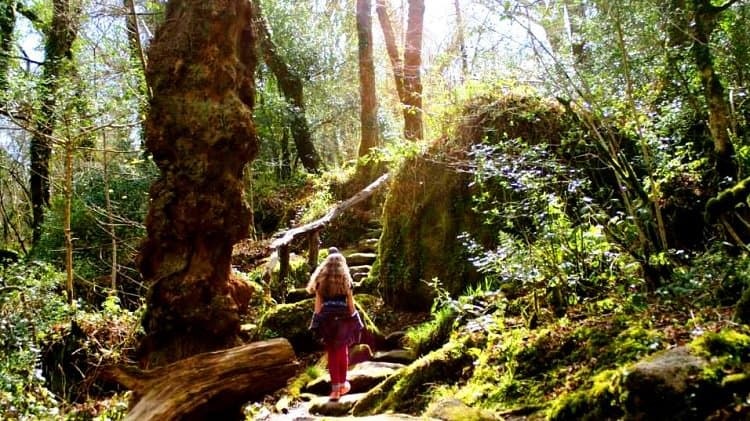 As one of Dartmoor’s top beauty spots, Becky Falls is not only a natural wonder (best enjoyed with a pair of stout shoes and a camera) but also a great day out for families. There’s a well thought out programme of children’s entertainment at weekends and during the school holidays, including an indoor theatre and animal attractions. 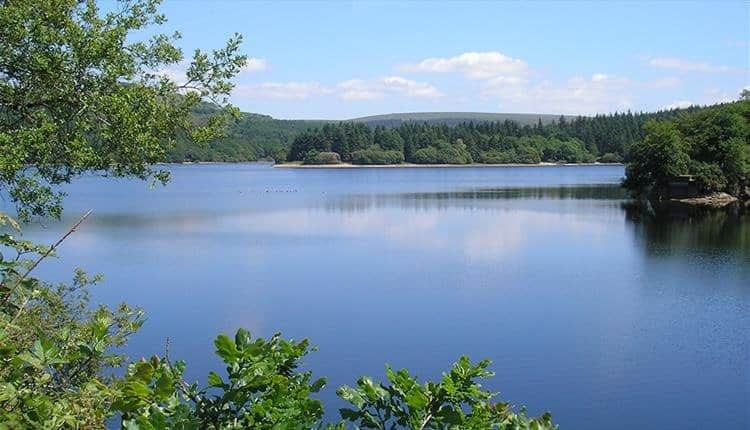 One of a number of Dartmoor reservoirs constructed in the 19th and 20th centuries to supply the water needs of Plymouth, Burrator Reservoir offers a beautiful combination of tranquil waters, circular walks and lush woodlands. There are a number of parking spots scattered around the whole perimeter of the reservoir, and you can choose a gentle stroll to the water’s edge, or a more challenging walk through the woods and onto the open moorland. Perhaps the most enjoyable way to enjoy Burrator is to pick your parking spot then simply take a 4 mile circular walk around the whole reservoir. There are plenty of peaceful spots in which to enjoy a picnic – and with a little luck you’ll find an ice-cream van along the way too! Most people’s perception of quintessential Dartmoor centres around wide open vistas, rocky tors and rugged wilderness. There’s a softer side of the moors too, as you’ll see if you head down to Bellever, close to the picture-postcard-perfect Dartmoor village of Postbridge. Whether you’re after a gentle meander through the forest, or a more challenging walk, Bellever caters for every level of ability. You’ll find way-marked walking trails, and an historic bridleway, the Lich Way. There are also numerous archaeological sites to discover as you explore Bellever, and a fascinating range of wildlife, including Dartmoor Ponies (please don’t be tempted to feed them!). But if all you want to do is to relax by the side of a crystal-clear Dartmoor river, and perhaps dip your toes in to the cooling waters, Bellever is a perfect spot. It’s well signed, with easy access, good parking and plenty of signage to help you get the best out of your visit. Some time spent in the award-winning Devon market town of Tavistock is “must” for any visit to Dartmoor. Perched on the edge of the National Park, and on the banks of the River Tavy from which it takes its name, Tavistock is the market town for the Western half of Dartmoor. Always bustling, with its busy town square, pannier market and independent shops, the town is an easy place to stroll around. 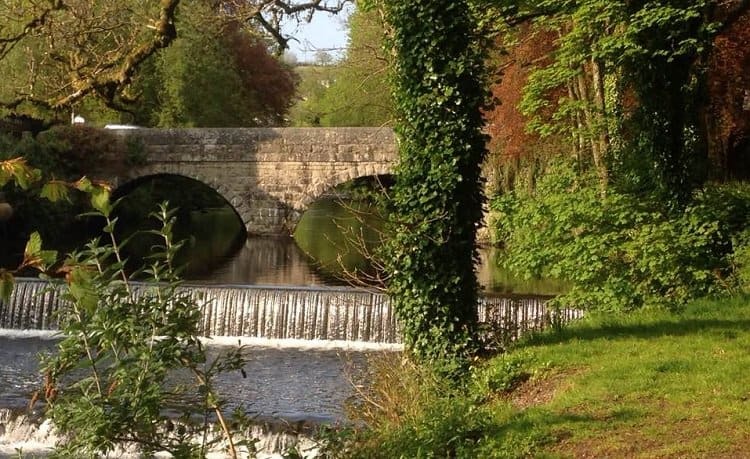 Explore the town centre, but also be sure to head down to the peaceful Meadows parkland which runs alongside the River Tavy and the historic Tavistock Canal. If you’ve a longer walk in mind, continue along the canal until it disappears into its tunnel which feeds the Morwellham hydro-electric power station. Alternatively, pick up the Drake’s Trail walking and cycle path for fine views from the town’s former railway viaducts. The Bedford Hotel, sister to the Two Bridges Hotel, is the place to head to in Tavistock for a lazy morning coffee, a tasty bite of lunch, or an indulgent afternoon tea, in warm and welcoming surroundings. On a sunny day, the peaceful Walled Garden is a delightful spot in which to enjoy a glass of Pimm’s or a pint of Jail Ale from Dartmoor Brewery. Moor to see. Moor to do. If you’re looking for more things to do, places to visit and events to enjoy on Dartmoor this Summer, Visit Dartmoor, the official tourism organisation, have a wealth of knowledge and experience. Visit their excellent website to help plan your own Summer Days on Dartmoor. To book your stay on Dartmoor, or to book a table for a tasty lunch, a decadent afternoon tea or an award-winning dinner, call the Two Bridges Hotel on 01822 892300.